Vehicle or equipment recalls can be a rather mundane part of school bus maintenance operations. But media, regulatory and even parental scrutiny over yellow bus safety dictates that school districts and bus companies have all of their ducks in a row. When a tragedy occurs on a school bus, maintenance records are checked—including recall records—to explore any issues of causality. If there’s a federal investigation, such as with the fatal Iowa school bus fire in December 2017, recall campaigns and their implementation are routinely checked. For student transporters, it’s imperative to maintain a disciplined process of receiving recall notifications, acting on the recall and documenting the action. Investigators with the National Transportation Safety Board (NTSB) looked into three recalls tied to the school bus that was involved in the Iowa tragedy, but discovered they had been handled correctly and weren’t the cause. NTSB spokesman Keith Holloway explained that a routine part of any investigation is to examine all documentation that could be related to the incident. This includes maintenance data, service bulletins and any recalls of equipment on the vehicle. If there are recalls found, NTSB may obtain a subpoena for documentation that addresses the fix. But suppose a district is cavalier in attending to recalls? 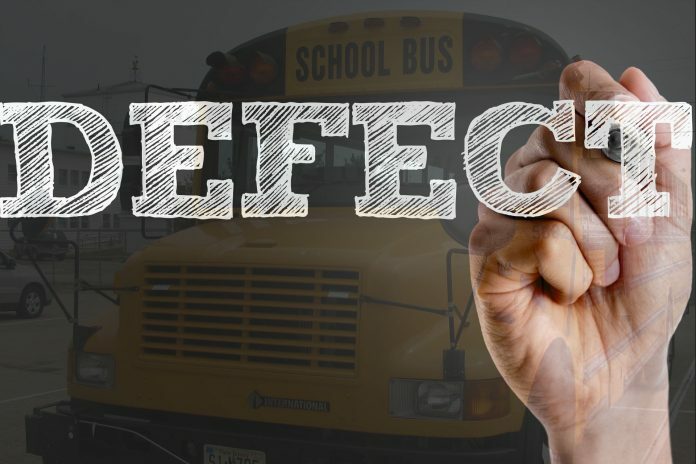 Can the school district be held liable if the recalls were not handled properly? Attorney George Sink, Jr., in North Charleston, South Carolina, where recent school bus fires are especially a concern, said there are multiple responsible parties. These include the school bus driver, district, bus manufacturer, bus dealer, and any suppliers of related components. But liability can be difficult to pin down. Most districts seem to have a process of addressing recalls (although the processes are not always formal). The National Highway Transportation Safety Administration (NHTSA) is the central government focal point for recalls. Vehicle, engine and equipment manufacturers must voluntarily report all recalls to NHTSA or face federal scrutiny. NHTSA then posts the information on its website, but specific recall information is usually disseminated as a “push” by school bus dealers to the districts within specific region. Student transporters we spoke to voiced confidence that their recall processes are sound, but they still must be managed. He also noted two recent recalls on a wheelchair lift that was installed on a Thomas Built Buses Minotour Type A school bus. “One was an inspection of the lifting mechanism rollers and joints. I did a quick visual inspection myself, then Thomas sent an inspector and he came out, inspected the lift, determined it was safe and cleared the recall for us,” he said. Stephenson does point out that cloud-based platforms that many manufacturers are including in their buses as add-ons or installed with new bus deliveries, are expediting recall management. Whether the notification is received via a remote monitoring platform, or through traditional snail mail, prompt remediation is always a best practice. Michael McClure, director of transportation services for Fayetteville Public Schools in Arkansas, says the process doesn’t have to be complicated. When it comes to recalls, one thing seems to be certain: District operations managers take them seriously. Recall management is one component—albeit an important one—of establishing a bedrock of school bus safety. Fleet managers need to focus on insuring all recalls are received and acted on. Failure to do so, could result in an unsafe environment for pupil transport. Though the incident in Iowa was attributed to poor management of the recall, it was one of the first things investigators looked into. Safety officials agree that prompt attention is paramount.